Welcome to the September 20, 2017 edition of ACM TechNews, providing timely information for IT professionals three times a week. Chinese researchers are upgrading the MilkyWay 2 (Tianhe-2) supercomputer to reach a peak performance of almost 95 petaflops, which would represent an approximate doubling of the system's performance. The Tianhe-2 currently holds the second-place slot on the TOP500 list, with 33.86 petaflops on the Linpack benchmark. Although much of Tianhe-2's performance stems from Intel Knights Corner co-processors, the Tianhe-2A upgrade swaps them out for customized four-way MATRIX-2000 boards. Each chip is capable of delivering 2.46 teraflops of peak performance. Tokyo Institute of Technology professor Satoshi Matsuoka says the Tianhe-2A is impressive by virtue of having been developed over a period of only about two years, with 80,000 chips added. 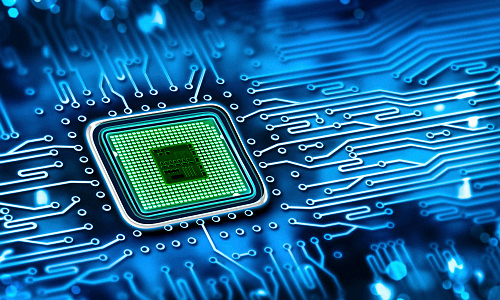 Researchers at the University of Sydney, Australia have for the first time stored photonic information on a microchip as an acoustic wave, which they say is an important breakthrough in the development of chips that manage data optically instead of electronically. "The information in our chip in acoustic form travels at a velocity five orders of magnitude slower than in the optical domain," notes Sydney research fellow Birgit Stiller. Stiller and Sydney doctoral candidate Moritz Merklein have demonstrated a digital information memory capable of coherently transferring data between light and sound waves on a photonic microchip. "Unlike previous systems this allows us to store and retrieve information at multiple wavelengths simultaneously, vastly increasing the efficiency of the device," Stiller says. Merklein notes the commercialization of photonic chips requires the data on the chip to be slowed down so it can be processed, routed, stored, and retrieved. With fears mounting that Russia meddled in the 2016 U.S. presidential election by targeting electronic voting systems, some state agencies are seeking to implement hacker-proof security or, barring that, ensure that interference is immediately apparent. States with electronic-only voting machines want to add paper ballots as a backup measure. For example, Virginia recently announced a move to replace touchscreen-only voting machines with equipment supporting paper backups. In some cases, voters are suing states to deploy more secure paper-based voting systems. However, experts say the three dominant U.S. voting machine vendors see little financial incentive in a wholesale overhaul of the national voting machine infrastructure. 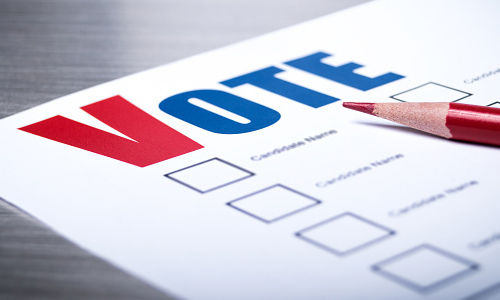 The New York University School of Law's Lawrence Norden says a lack of resources to protect and upgrade such infrastructure is an all-too-frequent impediment for voting officials. "We need some shared responsibility for funding elections and making sure they're free and fair," Norden says. Even as millions of people lost power across Florida, and thousands of homes and businesses were flooded out in Miami and Texas, the vast industrial infrastructure of data centers linked by a sprawling network of fiber optics that make up the heart of the Internet and the cloud held firm. Although the storms disabled some cell phone towers and local connections, most data centers never stopped working, as backup generators and other precautions against natural disasters kicked in and, in some cases, the centers served as the headquarters for U.S. marshals until the weather passed. Jeff Eassey, a data center manager for Digital Realty in Miami, notes his center never stopped processing and transmitting data. Although there are no legal standards for commercial data centers, the Uptime Institute rates the facilities on four tiers of resiliency for events such as storms, earthquakes, and power failures. One key is building above the 500-year floodplain, notes CyrusOne president Gary Wojtaszek. Researchers at the Moscow Institute of Physics and Technology in Russia and the University of Siegen in Germany have detailed the mechanics of single-photon generation in diamond diodes, which they say could lead to the development of high-speed single-photon sources for secure quantum communication networks and quantum computers. The single-photon emission mechanism is derived from electrically pumped nitrogen-vacancy centers in diamonds, and the researchers also explain the factors affecting photon emission dynamics. The team splits the emission process into three stages--the electron capture by a color center defect, hole capture or loss of an electron, and electron or hole transitions between energy levels of the color center. The researchers say the response time of a single-photon source can be adjusted and upgraded by several orders of magnitude by changing the diamond's characteristics by doping or controlling the densities of electrons and the holes injected into the diamond. Christopher Jonathan at the University of Minnesota-Twin Cities has co-authored the concept for a unified spatial crowdsourcing platform, which he perceives as a framework for sharing the maintenance of various spatial task applications ranging from ride-sharing to translation to delivery service. "With our envision framework, whenever someone has a new idea for a spatial task, she only needs to provide the logic of the new spatial task into our system," Jonathan says. "Meanwhile, our system will handle all the common functionalities that are shared by all spatial tasks, e.g., worker management and privacy management. As a result, any new spatial tasks can be deployed in just a short amount of time." Jonathan also says the framework will enable researchers to evaluate their new ideas or optimizations by implementing them within the system without rebuilding the entire system stack. The University of California, Berkeley's Pulkit Agrawal is embedding curiosity, or intrinsic motivation, into artificial intelligence (AI) so machines can learn unfamiliar tasks more efficiently. "You can think of curiosity as a kind of reward, which the agent generates internally on its own, so that it can go explore more about its world," Agrawal says. His team at the Berkeley Artificial Intelligence Research Lab have developed a learning agent with an intrinsic curiosity module (ICM) so it can learn to play a video game. Their model is young children's innate curiosity in objects that surprise them, mimicked by the ICM's generation of an intrinsic reward signal defined by how mistaken the prediction model is. Agrawal says this reward for being surprised creates a feedback loop enabling the AI to correct its ignorance. The AI also translates visual input from raw pixels into an abstract version of reality, highlighting environmental features with the potential to affect the agent. Researchers at Carnegie Mellon (CMU) and Peking universities have developed PrivacyStreams, a service enabling application developers to access smartphone data required for app functionality while assuring users their private information is not being exposed. Included in the PrivacyStreams library are programs for converting personal data into a desired output, and Peking University professor Yao Guo notes PrivacyStreams also lets developers articulate what the data is being used for, which can help users decide whether to install the app or consent to access certain data. "While PrivacyStreams is geared to mobile apps, I think we can apply the same idea to the Internet of things, or to accessing historical data," says CMU professor Jason Hong. With sufficient popularity, the researchers believe PrivacyStreams could certify that apps using it are employing sensitive information responsibly. PrivacyStreams was presented last week at the ACM International Joint Conference on Pervasive and Ubiquitous Computing (Ubicomp 2017) in Hawaii. University of Maryland, Baltimore County (UMBC) graduate student Kavita Krishnaswamy designs robots as assistants for people afflicted with spinal muscular atrophy, a genetic disorder she suffers from. Her personal robot, the Beam, is a wheeled telecasting robot she operates remotely from 16 miles away so she can participate in classes and lectures. 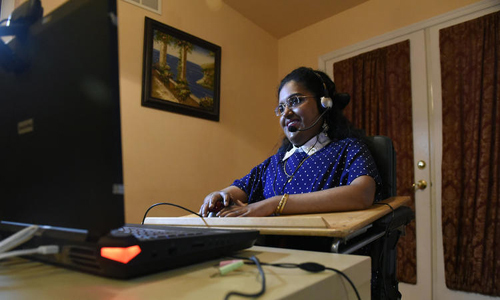 Krishnaswamy's devices enable people with disabilities to move their limbs by manipulating a computer trackball, speaking, or shifting facial expressions. She has tapped her expertise in artificial intelligence and software design to invent, via simulation, 10 robotic assistants so far. The robots have been built by UMBC engineering students following her specifications. For her doctoral project, Krishnaswamy is collaborating with University of Washington professor Maya Cakmak on developing low-fidelity interfaces that can control a multifunctional robot to help people with disabilities perform various tasks, such as feeding themselves or brushing their teeth, via a mouse or vocal commands. Researchers at the University of Washington (UW) have demonstrated the first-ever transmission of data across up to 2.8 kilometers by devices that run on almost no power. The UW's long-range backscatter system employs reflected radio signals to send data with inexpensive sensors that consume 1,000 times less power than similar technologies, supporting reliable coverage throughout a 4,800-square-foot house, an office area covering 41 rooms, and a one-acre farm. The researchers say this achievement is an important and necessary milestone toward the embedding of connectivity into everyday objects. The system is composed of a source that emits a radio signal, sensors that encode data in reflections of that signal, and an inexpensive, commercially available receiver that decodes the information. Placing the sensor between the source and receiver enables data transmission at up to 475 meters. The system was detailed last week at the ACM International Joint Conference on Pervasive and Ubiquitous Computing (UbiComp 2017) in Hawaii. Facebook has announced plans to establish a major artificial intelligence (AI) research facility in Canada that will focus on reinforcement learning and improving machines' language skills. Facebook AI research director Yann LeCun says the goal is to produce more useful virtual assistants, and he thinks an as-yet undiscovered learning paradigm innate in children could be critical in achieving this milestone. McGill University professor Joelle Pineau will head the new lab, and she says a key challenge of reinforcement learning's application to language is the lack of a single, clear objective to the task. LeCun and others also note the Facebook lab's location makes sense, in view of Canada's growing reputation as a world leader in AI research. 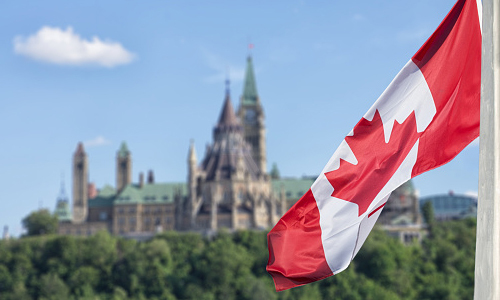 "Canada is now gaining recognition as being an AI powerhouse, both in terms of innovative ideas and in terms of training the next generation of AI talent," says the University of Alberta's Michael Bowling. Boise State University professor Hani Mehrpouyan is part of a team of academic and private-industry researchers who have been awarded a three-year, $4.4-million U.S. National Aeronautics and Space Administration grant to research and enhance aeronautical communications. "A full and sophisticated set of sensors aboard the aircraft significantly enhance safety and efficiency and allow a high level of aircraft autonomy, however, we need to be able to transmit this information among the various entities to coordinate in densely populated airspace," Mehrpouyan says. "We expect that greater autonomous capabilities will generate and consume more and more information, increasing the demand on networks and requiring data rates far larger than ever used in civil aviation." 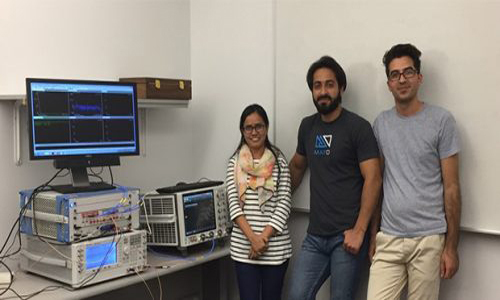 Mehrpouyan is working to quantify the capacity and efficiency gains of widespread mmWave wireless airport subnetworks. For example, he plans to measure and model example channels and validate prototype mmWave systems in airport network operations. New technologies are reinventing the concept of the database, with graphics-processing unit computing relieving databases of the need to maintain an index. Meanwhile, non-volatile memory can remove a key obstacle for programmers--the need to switch data back and forth between the random-access memory and the disk with complicated protocols. Other transformative technologies offer full usage of SQL knowledge with the database distributed across a large cluster, while graph databases are making queries such as links between data nodes easier to run. Meanwhile, geospatial databases can accommodate two-dimensional datasets, and ease the searching, sorting, and intersecting tasks they demand. The benefits of cloud databases include eliminating server maintenance and licensing and configuration headaches, often at less cost. Machine-learning artificial intelligence can give solid answers to vague or nebulous inquiries, while blockchain technology promises to establish trustworthiness of the data in the database to the degree that legal issues can be based on it.